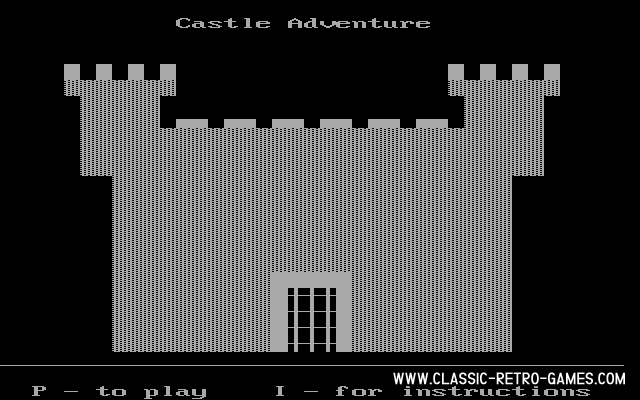 Castle Adventure is one of the rare PC (MS-DOS) remakes you will find on this site. Crozza Games remade this MS-DOS game which now works on Windows. In this game you move from room to room collecting treasures and defeating foes. Some text input is required like the old text adventure games, for example 'get item' or 'drop item'). There are 83 rooms and 13 treasures to find. Also included in the download is a new updated version which looks a lot like the ZX Spectrums Attic Attack. Enjoy! Currently rated: 3 / 5 stars by 4 gamers.